Nigeria has enormous gas resources. The official estimates of the country’s natural gas reserves is in the region of 187 trillion cubic feet (TCF). Despite a history of more than 50 years of oil production, Nigeria is predominantly a gas province. Almost every successive Nigerian government aspired at one time or the other to legislate a regulation that will optimize the use of the country’s vast gas resources. Quite a good number gas projects have been conceptualized but unfortunately few have been actualized. The bottom line is that decades after the discovery of gas in commercial quantity, Nigeria’s gas sector and gas system remains underdeveloped. Today’s reality in the international oil and gas market requires Nigeria to wake up and make something of the gas resources or be left behind countries that are more committed to utilizing their gas resources. Ghana’s gas company is expected to begin production this year. If the tension in the Middle East abates (as it may), oil & gas prices will drop! Several Nigerian government policies have highlighted plans to monetise gas resources. In 2008, the Federal Government developed the Gas Master Plan (GMP) in order to lay a framework for gas infrastructure development and expansion within the domestic market. According to the Nigerian National Petroleum Corporation (NNPC), the GMP is a guide for the commercial exploitation and management of Nigeria’s gas sector which seeks to grow the Nigerian economy with gas. The GMP has three key strategies, namely to stimulate the multiplier effect of gas in the domestic economy, position Nigeria competitively in high value export markets and guarantee the long term energy security of Nigeria. Despite initial momentum on LNG projects, Nigeria remains far behind. Production started from trains 1 and 2 at the Nigerian Liquefied Natural Gas Limited in 1999. By 2007, NLNG added four more trains. Although the seventh train has been planned, six years later, it hasn’t been sanctioned. Apart from NLNG, other planned LNG projects include Brass LNG and Olokola LNG (OKLNG). Final investment Decision (FID) on Brass LNG was planned for 2006; it was later rescheduled for 2008; then 2010. The FID was never realised on any of those dates; nor has it been now. The same applies to OKLNG. The shareholders of OKLNG signed a memorandum of understanding (MoU) in 2006; FID was billed for 2007 while production was scheduled to begin in 2009. The originally proposed dates for streaming these projects have long expired; yet final investment decision (FID) has not been taken on any of the projects. In all these years, not much has been accomplished on Brass LNG and OKLNG. Other countries have shown more commitment with LNG projects. Consider Australia. In 2011 alone, four LNG projects in Australia reach FID. These projects include: Australian Pacific LNG T1, GLNG T1-2, Wheatstone LNG T1-2 and Prelude LNG. Another Australian project, the two train, Ichthys LNG T1reached FID in January 2012. According to the international Gas Union, Qatar, the world’s largest LNG exporter produced 77 metric tonnes per annum in 2011, about 31 per cent of global supply. Meanwhile new LNG frontiers have emerged in Eastern Africa such the Anadarko’s LNG project in Mozambique and the onshore LNG project by BG in Tanzania. The United States, a former net importer of LNG is now turning away cargoes while increasingly relying on unconventional domestic gas, such as shale gas, to meet its energy need. In addition, the United States plans to become a net exporter of gas in less than a decade, effectively shrinking the global gas market. The chokehold in the world LNG market and the emergence of new supplier nations will ultimately make Nigeria’s position increasingly vulnerable if the country’s LNG projects are allowed to continue to suffer. If FIDs on existing LNG projects in Nigeria are not taken now, the global LNG market will become increasing tougher for the country and more so in the coming years. In January 2002, the Nigerian and Algerian governments, through their respective national oil companies signed a memorandum of understanding (MoU) to build a Trans-Saharan gas pipeline running from Nigeria to Algeria to make Nigerian gas available to European market. Since the signing of the MoU eleven years ago, not much has happened on the project except the feasibility study and intergovernmental agreement between the governments. As a result of the decade-long inactivity, it does appear that the project may have been abandoned. Dr Ghaji Bello, Acting Director of Nigeria’s Infrastructure Concession Regulatory Commission (ICRC) said in Abuja in January that the Federal Government of Nigeria has earmarked $400 million for the project in the 2013 budget. Industry analysts received the news with scepticism in view of apparent non-commitment to the project. The West African Gas Pipeline is a 680-kilometre gas transport project jointly-owned by Shell, Chevron and the Nigerian National Petroleum Corporation (NNPC) forming the African Gas Pipeline Company (WAGPCo). The project takes Nigerian gas from Itoki in Ogun State through Agido near Badagry in Lagos, passing through 33 Nigerian communities to Togo, Benin Republic and Ghana. West African Gas Pipeline Company (WAGPCo) and the participating countries signed an International Project Agreement (IPA) in May 2003 to pipe 200million standard cubic per day of gas (200mmscf). Over the years, this project has failed to deliver the anticipated volume of gas due to a plethora of reasons – policy, politics, infrastructure, funding, security, etc. Central to the operation of WAGPCo is the availability of gas. With vandalism and associated shut-ins, gas supply is never guaranteed. As a result unavailability of gas, an average of 134mmscf is often piped in the 475mmscf capacity pipeline, thus making the $1billion facility to be sub-optimally utilised. Ironically, it is in the smaller gas projects operated by small Nigeria independents that real success has been observed. Consider the Ovade-Ogharefe gas processing facility, the largest carbon emission reduction project in sub Saharan Africa. The first phase of Pan Ocean’s gas utilization project which was streamed in 2010 has capacity to process 130 million standard cubic feet of gas per day. Pan Ocean is expected to stream the second phase of its Ovade-Ogharefe gas project before the end of 2013. Uquo gas project: Seven Energy and Frontier Oil have made commendable progress on Uquo gas project. The gas central processing facility (CPF) of the Uquo gas project is owned by Frontier and Seven Energy while Seven Energy through its subsidiary, Accugas, runs the pipeline. The gas is delivered to Ibom Power plant owned exclusively by Akwa Ibom State Government. 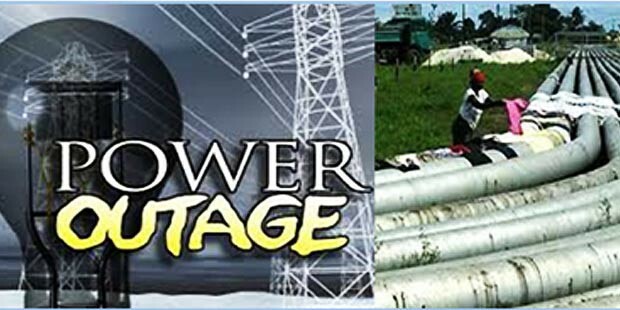 Power generation at the Ibom Power Plant is tied to gas generated at Uquo. The project has the capacity to boost power generation in Nigeria by 1000 megawatts of electricity. East Horizon Gas Company (EHGC), a subsidiary of Oando Plc, is a special purpose vehicle set up to Develop, Finance, Construct and Operate a gas transmission pipeline linking the Calabar Cluster of Industries to the Nigerian Gas Company (NGC) grid in Akwa Ibom state. The company is embarking on a $125m project which involves the construction of an 18inch by128 kilometre (km) gas pipeline through forest, swamps and built up areas. The project has a total capacity of 100million standard cubic feet of gas per day (mmscfd). Oando Gas and Power Limited has developed a robust natural gas distribution network. The company has built extensive pipeline network to distribute natural gas to industrial and commercial consumers and has successfully revived private sector participation in the gas distribution business in Nigeria. Oando has over 100km of pipes already laid in Lagos State and another 128 km in progress in Akwa Ibom and Cross River States. If more players will be as committed as these not-so-big players, the collective contribution will add to big gains in the drive to grow the gas sector and optimize Nigeria’s gas resources. The time left for Nigeria to make something tangible from her gas resources is running out. As we end the first quarter of 2013, policy makers and oil and gas industry operators have another opportunity to think long and hard and make the committed decision of making the Nigerian gas a key contributor to national economic life. The largest obligation rests with the government. A robust and thriving gas sector would require good legal framework that will clearly specify the rules of engagement. The law will necessarily provide good fiscal terms that will encourage investment in the gas sector. The gas sector will only thrive under an effective regulatory structure. These are the necessary conditions that can ensure private sector commitment in the gas sector. It is the government that can provide them. 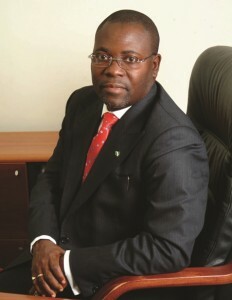 Adedayo Ojo is Lead Consultant/CEO of Caritas Communications Limited, a specialist reputation strategy and corporate communication consultancy in Lagos/Accra. Caritas is the West Africa affiliate of Regester Larkin, the pioneer reputation strategy and management consultancy with offices in London, Washington, Houston, Singapore and United Arab Emirates. The dark days of kidnapping in Nigeria’s oil and gas industry have returned. Seven expatriates working for a contractor to Chevron Nigeria Limited at the Pennington oil platform offshore Nigeria were recently abducted. Six of the men are Russians and the seventh is believed to be an Estonian. A criminal gang attacked a barge offshore Niger Delta in the last quarter of last year, killing two Nigerian sailors, injuring two other Nigerians onboard and abducting one Indonesian, one Iranian, one Malaysian and one Thai national. The foreigners were eventually freed a few weeks later. 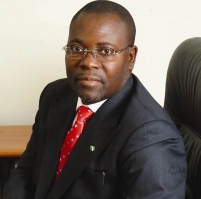 Around the same time, Augustine Wokocha, Rivers State commissioner for Power was kidnapped. Is Julius Malema an enigma? Just maybe. Today, the 31 year old is a thorn in the flesh of the African National Congress (ANC)-led government of Jacob Zuma in South Africa. A former Zuma ally and former President of the ANC Youth League, Malema was expelled from the ruling party in February 2012 for anti-party activities. Since then, the man who was once described by Zuma as “future leader” of South Africa has become one of the harshest critics of the President and his government. Malema featured prominently during and after the recent industrial action by workers of the Lonmin-owned platinum mine in Marikana. The protest erupted into a police action in which 34 of the demonstrating workers were shot. Malema heaped scorn on the poor handling of the crisis by Zuma and has since called for a national miners’ strike in South Africa. The explosion that occurred at the Amuay refinery in Venezuela recently is unarguably the most fatal disaster in the history of the oil and gas industry in the South American nation. A gas leak at the refinery, located near Punto Fijo in western Venezuela, caused an explosion that ignited and damaged nine storage tanks, killing at least 39 people, including a ten year old boy and injuring more than 80 people. Many of the victims were members of the National Guard stationed at the refinery. Amuay refinery processes 645,000 barrels of oil per day (BOPD) and it is part of the Paraguana Refinery Complex, and one of the biggest refineries in the world. The Paraguana Refinery Complex, which also includes the Bajo Grande and Cardon Refineries, processes a total of about 955,000BOPD. The Nigerian oil and gas industry is undergoing what will arguably be its most transformative season. The revised and harmonised version of the Petroleum Industry Bill (PIB) has been forwarded to the national assembly; there has been a change in the leadership of the Nigerian National Petroleum (NNPC); the Special Committee on Subsidy Payment Verification and Reconciliation has submitted an interim report and EFCC has arraigned a few individuals and corporates. These are significant issues for the oil sector, nay the economy. The world waits with great expectations, hope and anxiety that these events will play out positively and provide the much needed drive for economic and social transformation. A major pivot on which the petroleum industry rotates is technology. Only very few business sectors require the use of technology at the same scale as the oil and gas industry. New technologies emerge daily and the latest and most efficient equipment today may be overtaken by improved versions tomorrow. The heavy dependence on technology has always been with the industry. The mastery and acquisition of high technology is a key success factor in oil and gas business. As the industry evolves and the dynamics of society changes, the requirements of success have grown beyond what technology alone can provide. Explosions, leaks and spills that occur in the course of oil and gas operations are very ugly incidents. As philosophical musician, Fela Anikulapo-Kuti was wont to say: “they leave sorrow, tears and blood”. In the aftermath of disasters, companies’ reputations take a knock, revenue takes a dip, the ecosystem is damaged – sometimes permanently; people die, sometimes within seconds. While there are no fool proof templates to manage disasters, the deft handling could offer positive lessons. Certain elements of disaster management stand out as key in the response strategy – swiftness of response, collaborative effort, commitment and involvement of senior management as well expression of genuine care and concern. Tullow Oil has just emerged from perhaps its toughest challenge with a regulatory authority in Africa, a continent it likes to call its home. With two Production Sharing agreements, signed by the Ugandan Government, in hand, the company can beat its chest about having shown remarkable dexterity in managing issues and has proven its ability to overcome the type of challenges that readily overwhelms less determined and less focused players. It has taken 18 months to come this far.